Streets and highways today reflect a century of investment in auto-oriented infrastructure that has failed to provide reliable or safe urban mobility. Much more efficient, humane streets are possible. 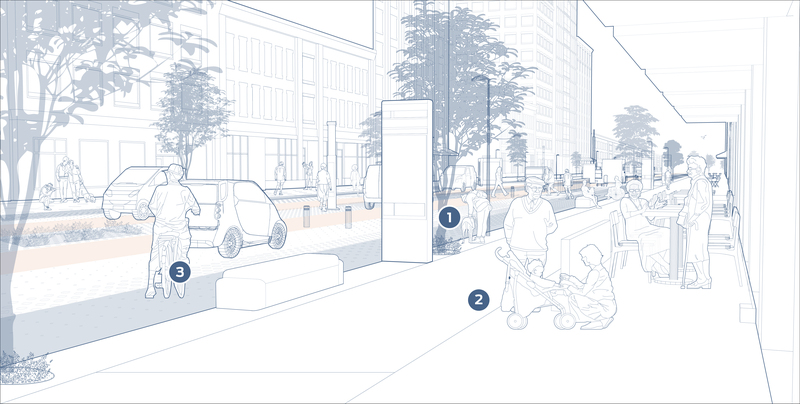 Technological changes present a chance to remake our streets as cities adapt to, and shape, the new mobility system. 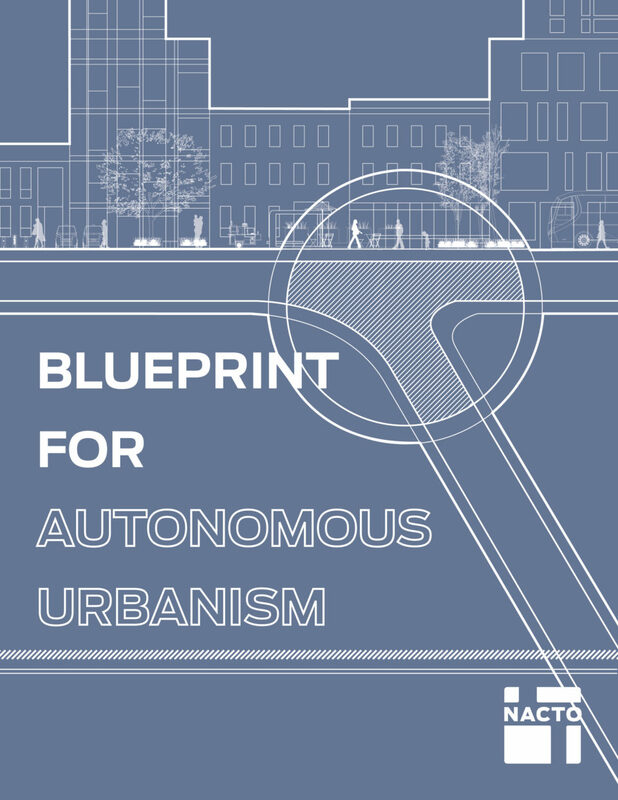 The changes shown in the Blueprint are not dependent on vehicle automation. 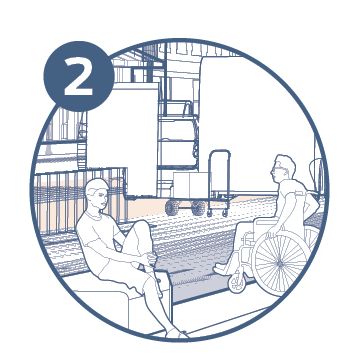 They complement and build upon the new dynamics of mobility, operational safety, and efficient use of space. Downtown streets, perennially in high demand by many modes and as gathering spaces, are vital to the future of the city. 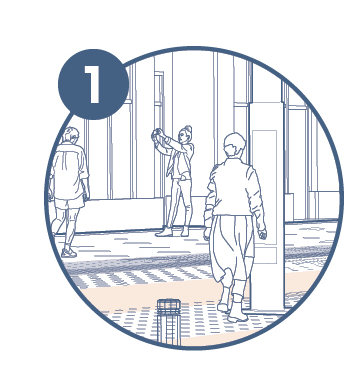 Every element of the street, from sidewalks to loading zones, should allow a seamless walking experience for people, and high-capacity transit should be given the space it needs to operate reliably. Downtown streets should prioritize transit and freight access by disincentivizing low-occupancy vehicles. Crossing the street should no longer be a difficult or time consuming task. Traffic streams of few cars with frequent breaks and smaller lanes would allow safer crossing environments. 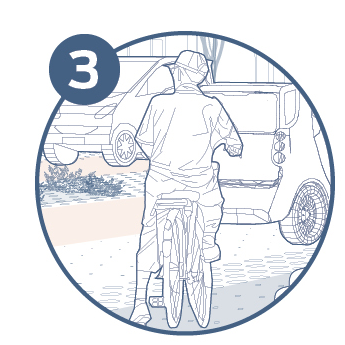 With motor vehicles still present, people bicycling will need protection from traffic in the form of fully separate infrastructure buffered from flex zones.